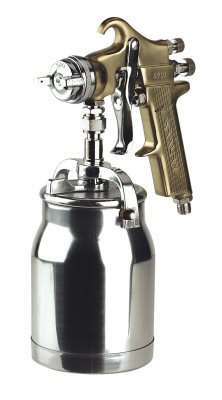 • Spray gun with striking gold finish handle suitable for applying finishing coats. • Supplied with cam action suction pot. • Suitable for use with water based paints. • Alternative set-ups available separately. 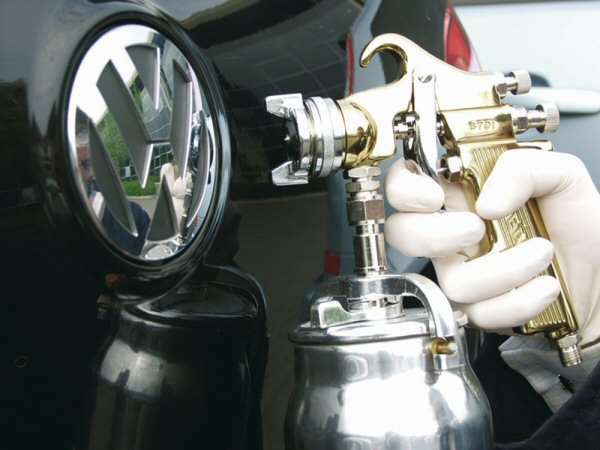 • High quality, professional spray gun ideal for automotive refinishing. • Suitable for a wide range of materials. • 1.5mm and 2.0mm Set-ups available. • Nozzle and needle in stainless steel to allow use with water based paints.